Indian Institute of Management, Ahmedabad (IIM A) – A top-notch B-School in Asia, IIM A provides you with Doctoral Programs, programs equivalent to MBA, and courses for the Executive and those for the teachers. If you want information regarding the time of admissions, Results, various programs it offers and for careers in this institute just click the link of the college which is given above you will be taken to that Website. Indian Institute of Management, Calcutta (IIM C) – You can acquire Post Graduate Diploma in Management, Computer Aided Management or Management for Visionary Leaders for Manufacturing at this institute in Kolkata. Besides the Doctoral program, it also offers part-time programs for the Executives.If you want information regarding the time of admissions, Results, various programs it offers and for careers in this institute just click the link of the college which is given above you will be taken to that Website. 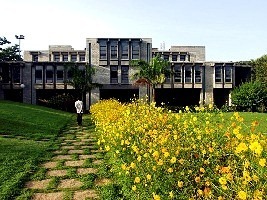 Indian Institute of Management, Bangalore (IIM B) – There are Open programs, Customized programs as well as International programs for Management professional. You can study a post graduate program in Management, Software Enterprise Management or Public Policy and Management here. If you want further information regarding the time of admissions, Results, various programs it offers and for careers in this institute just click the link of the college which is given above you will be taken to that Website. 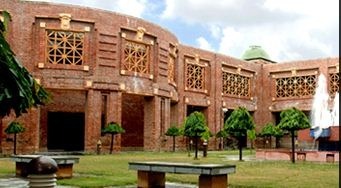 Indian Institute of Management, Lucknow (IIM L) – This Management institute offers Post Graduate Program for both Management students and working professionals. If you want further information regarding the time of admissions, Results, various programs it offers and for careers in this institute just click the link of the college which is given above you will be taken to that Website. Xavier Labour Relations Institute, Jamshedpur– XLRI provides you with the scope to pursue a PG diploma in Business administration or Personnel Management and Industrial Relations. It also offers Fellow Program, Satellite Programs and International Student Exchange program. If you want further information regarding the time of admissions, Results, various programs it offers and for careers in this institute just click the link of the college which is given above you will be taken to that Website. Indian School of Business, Hyderabad– Several MBA aspirants apply for the Post Graduate Programme in Management here. 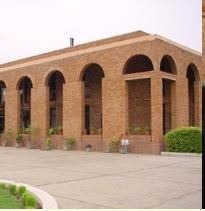 ISB also offers a Pre-doctoral program as well as Executive Education. If you want further information regarding the time of admissions, Results, various programs it offers and for careers in this institute just click the link of the college which is given above you will be taken to that Website. Indian Institute of Management, Indore (IIM I) – IIM I offers a Management Development Programme, an Executive Post-Graduate Programme as well as a Post-Graduate Programme in Management. There are also management program for Defense officers and Fellow programs. If you want further information regarding the time of admissions, Results, various programs it offers and for careers in this institute just click the link of the college which is given above you will be taken to that Website. Indian Institute of Management, Kozhikode– Candidates can choose from Post-graduate Programme in Management, Fellow Program or Management Development Programs offered here. You can also apply in the programs meant for the working Executives and the faculties. If you want further information regarding the time of admissions, Results, various programs it offers and for careers in this institute just click the link of the college which is given above you will be taken to that Website. Management Development Institute, Gurgaon– You can pursue specialized Management programs, Executive programs or even Fellow programs here, according to your needs. If you want further information regarding the time of admissions, Results, various programs it offers and for careers in this institute just click the link of the college which is given above you will be taken to that Website. SP Jain Institute of Management & Research, Mumbai– It is considered one of the top Management Colleges in India. It offers several programs either for PGD course, Executive Education or short term. If you want further information regarding the time of admissions, Results, various programs it offers and for careers in this institute just click the link of the college which is given above you will be taken to that Website.